This is a short piece about my recent visit to Samos in the Aegean Islands of Greece. The photo is mine taken near the town of Pythagorio. Walking around the ancient harbour of Pythagorio, parts of which are 2,600 years old, the visitor soon comes to a statue of Pythagoras, who was born in the area around 574 BCE. He was one of a number of intellectuals – Aesop was another – who thrived on Samos during the prosperous reign of the tyrant Polycrates in the 6th Century BCE. 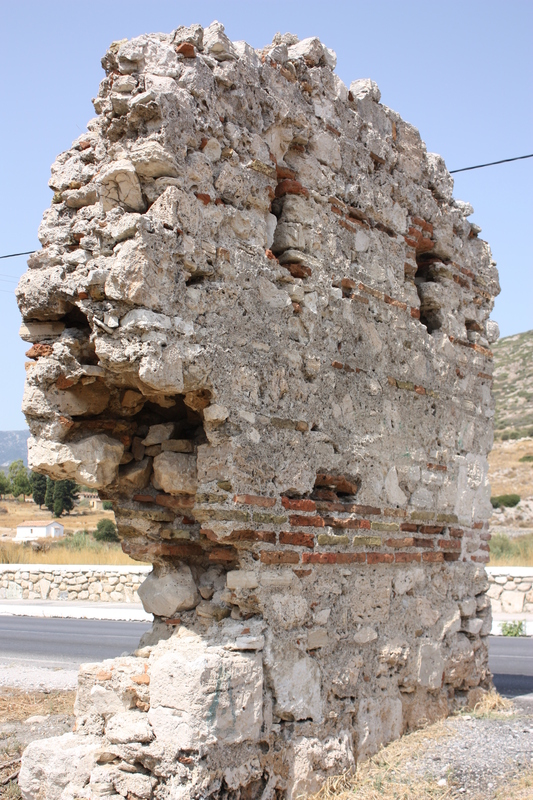 With the rise of the Athenian city state and the killing of Polycrates by the Persians, Samos declined and never reached the same heights again, becoming part of the Byzantine and Ottoman Empires before joining the Greek state in 1912.